"The data look very exciting. 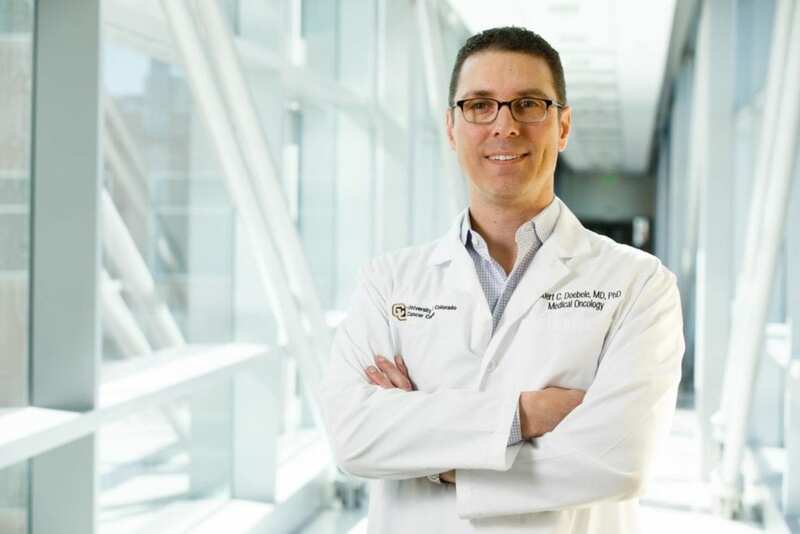 The hope is that entrectinib could replace crizotinib as a first-line therapy against ROS1-positive NSCLC," says Robert C. Doebele, MD, PhD, director of the University of Colorado Cancer Center Thoracic Oncology Research Initiative and the studies' principal investigator. Doebele points out that a trial directly comparing crizotinib with entrectinib is not feasible due to the infrequency of ROS1 oncogenes. "You have to be a little careful comparing results across trials," he says. "The problem is that entrectinib and crizotinib trials aren't exactly the same. It's impossible to compare apples-to-apples." "This trial includes generally poorer-prognosis patients than in previous trials of ROS1-directed therapies, given the high percentage of patients with brain metastases and the inclusion of patients with an ECOG performance status of two. And yet despite treating a sicker population, entrectinib results remain very competitive with those of previous trials," Doebele says. In 355 patients treated with entrectinib, including not only lung cancer patients but those with many types of solid tumors, most reported only mild (grade 1 or 2) side effects including fatigue, dizziness, weight increase, nausea, constipation and diarrhea. Thirty-one percent experienced grade 3 side effects, with only 3.9 percent discontinuing treatment due to treatment-related side effects. Based on these results, the study calls entrectinib "tolerable with a manageable safety profile." "Previous drugs targeting ROS1 such as crizotinib have poor CNS penetration and therefore can allow disease progression in the brain even before the cancer becomes resistant to the drug. For these patients, we've been using targeted radiation and other strategies to try to control brain metastases while continuing to target ROS1 in the body. We are hopeful that entrectinib will help us control many cases of ROS1+ cancer in both the body and the brain," Doebele says.